Dani toured with the Australian company of WICKED The Musical (Gordon Frost Organization) for a number of years, performing with the company in New Zealand, Manila & the full Australian Tour. 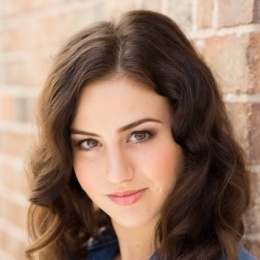 Dani also performed in the Australian musical FUNNY GIRL (The Production Company) starring Caroline O’Connor & David Hobson and recently as a dancer in Opera Australia’s CARMEN (HOSH) choreographed by Kelley Abbey. Other credits include; Featured Dancer role in Baz Luhrmann’s Feature Film “The Great Gatsby”, a dancer in Kanye Wests Australian Concert and also performing for other artists; Jay Sean, Sneaky Sound System, Marcia Hines, Short Stack and recently at Katy Perry’s MYER World Tour announcement. Throughout 2009 – 2012 Dani worked extensively with Bindi Irwin as Dance Captain for all of her Live performances. Television dance work includes shows; The X Factor Australia, Australia’s Next Top Model Finale, Celebrity Apprentice, Celebrity Splash, A Place To Call Home (Ch7). Large scale events include; Dancer for the Islamic Solidarity Games Opening Ceremony BAKU “HOPE shoot”, Australian Premier of “The Great Gatsby”, Carols In The Domain and Splendor in the Grass Music Festival. Early 2018, Dani is working with the Creative Team as a Choreographic Assistant for the Commonwealth Games Opening and Closing Ceremonies.